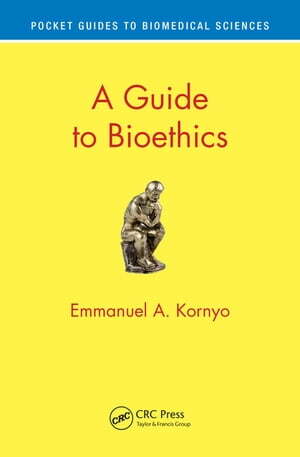 Collins Booksellers - A Guide to Bioethics by Emmanuel A. Kornyo, 9781351803847. Buy this book online. Solving intractable biotechnological questions of evolution, medicine, and genetics is now easier due to methods permitting the rapid analysis of molecular sequence data. These advances have exposed ethical and policy concerns. How would genomic information be used and by whom? Should individuals be able to make decisions regarding their own genomic data? How accurate are these genetic tests and how should they be regulated? These and other ethical conundrums are the subject of this book. Bioethicists, biomedical policy experts and lawyers, physicians, nursing and allied health students as well as science educators will find this book helpful and engaging in exploring the complexities of modern evolutionary, genetic and biomedical data.